Having a baby after a five year hiatus is a little like being Rip Van Winkle, waking up in a strange land filled with amazing new baby products. The aisles of Buy Buy Baby and Babies R Us are filled with new devices, and some are actually useful. 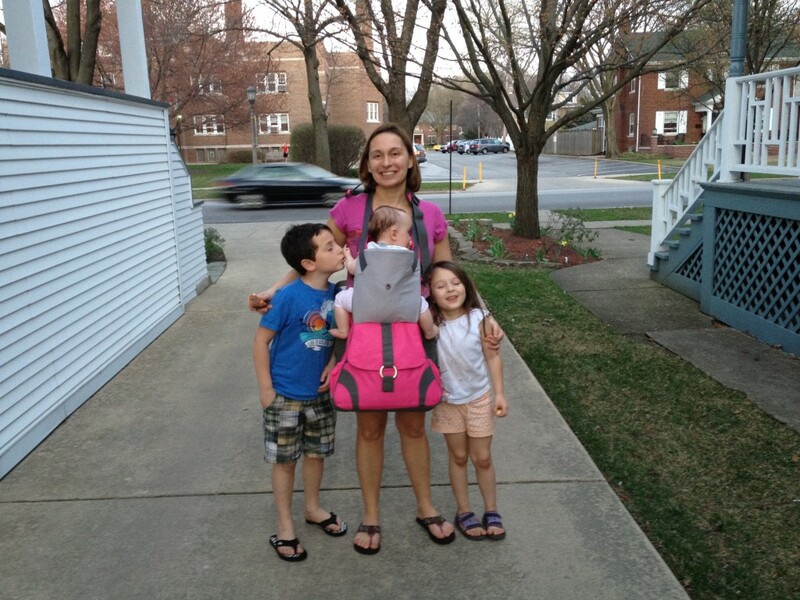 I recently received a genius new diaper bag made by Go-Go Baby Z called the Sidekick diaper bag that doubles as a baby carrier. With four kids to keep track of on very little sleep, I’m grateful to anyone who reduces the number of baby gear items I need to lug. 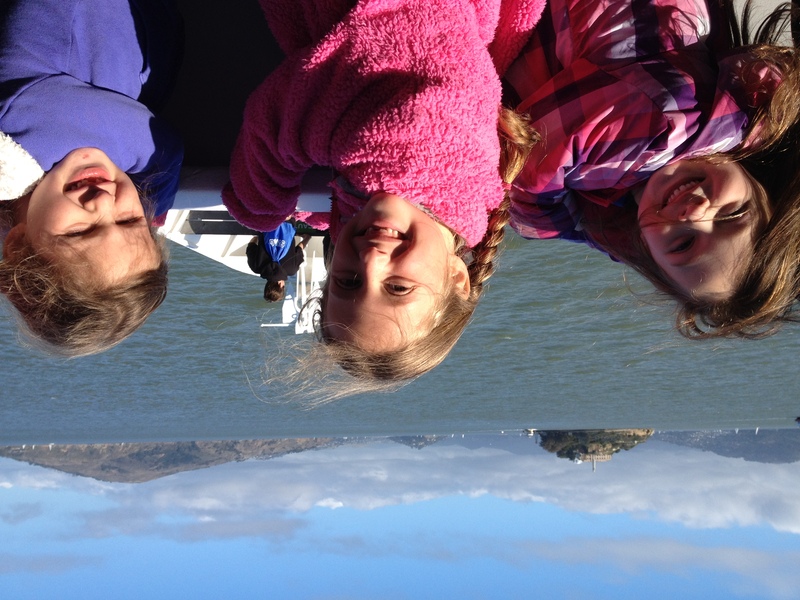 I gave the bag a thorough test during a weekend trip to San Francisco with the whole family. Judged simply as a diaper bag, the Sidekick gets high marks. It is roomy without being bulky. Has two convenient side pockets to hold bottles and plenty of compartments inside to organize diapers, wipes, a few toys and a change of clothes: all I needed for a four hour flight in one bag. The bag came with a matching changing pad and an insulated pouch for breast milk or formula. Fully loaded for the flight, I liked that the pouch was easily clipped to the outside of my filled to the gills diaper bag. Now what about looks? Baby gear has definitely gotten a lot more stylish in the last five years and this bag is no exception. It comes in a rainbow of fun colors. 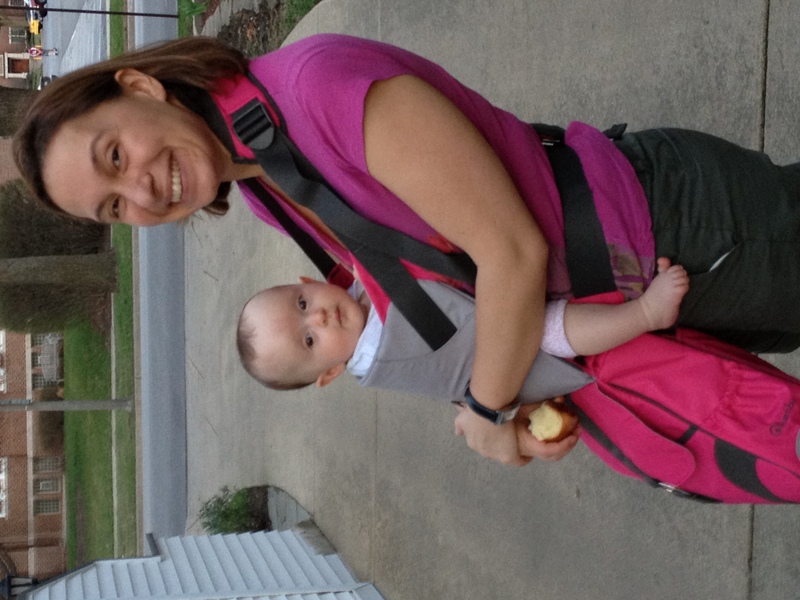 Mine is hot pink with trendy gray accents and I get a lot of compliments on it, before I’ve even mentioned the awesome baby carrier feature. 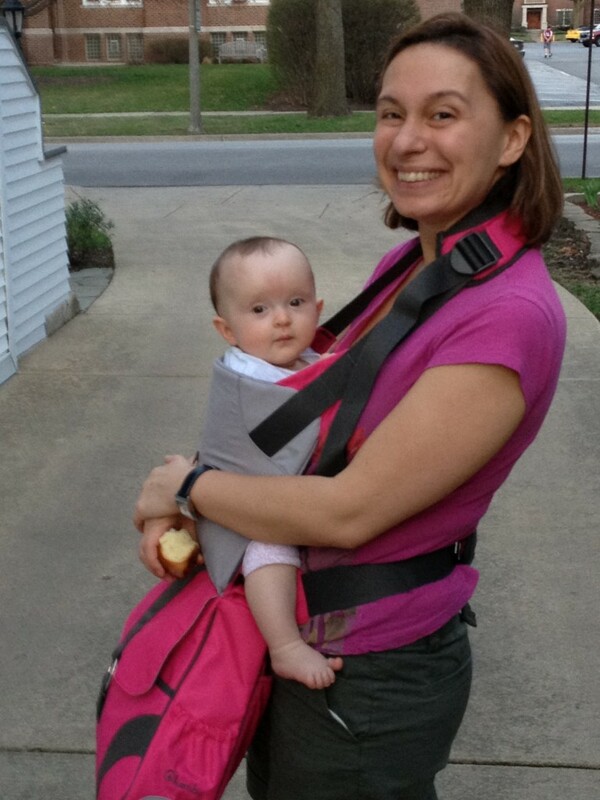 With Sophie in her diaper bag carrier, I have extra hands to corral the other kids! The baby carrier is tucked into the front flap of the bag. 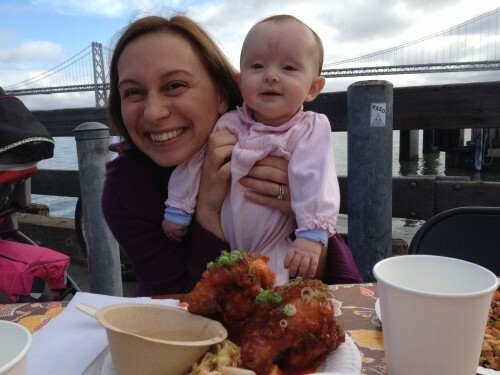 I found it easy to set up on the go; certainly easier than trying to tie a Moby Wrap around me, and maybe even a little easier than strapping a Baby Bjorn without tangling the straps. You unzip the top of the flap, turn the flap inside out to reveal a softer fabric, snap on the belt strap, and lengthen the shoulder strap to fit around your neck. All of this can be done quickly before deplaning, giving you a free hand to maneuver. 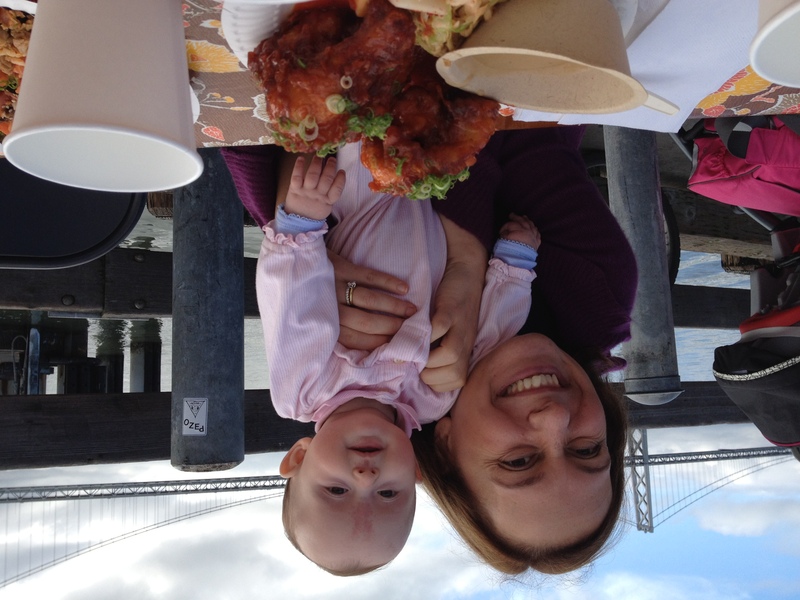 The Sidekick played no special role in helping us eat Korean Fried Chicken at the Ferry Building Other than Looking Good in our Stroller. The baby carrier is definitely not comfortable enough to have your baby walk around in all day, but for quick transitions, it’s a wonderful solution. I love knowing that I have that option in my diaper bag. Like so many of these new baby items, the price tag of this genius diaper bag and baby carrier combo is a little steep. Depending on the color, it retails around $120 at Amazon. 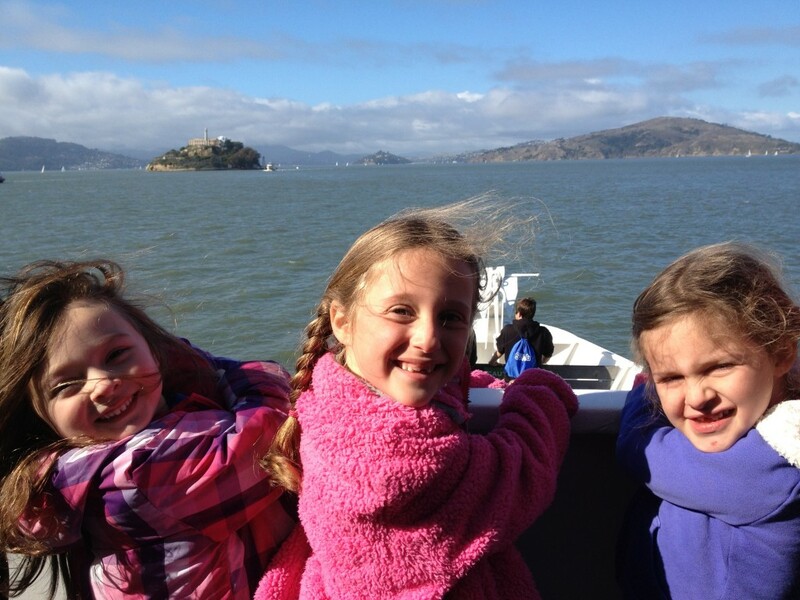 What a happy family.You looks so happy to have a time to travel.Thanks for sharing your pictures.